Quality Air Conditioning Service in Brighton, CO! If you’ve been looking for high-quality and affordable air conditioning service for your Brighton, CO home or business, call the professionals at Green Tech Heating & Cooling. At Green Tech Heating & Cooling we are able to offer a wide variety of services in order to get your air conditioner in great shape. From maintenance, repairs, or a complete replacement, we have you covered. If you have been looking to upgrade to a new air conditioning system, we also provide installation service on a quality selection of AC units. To learn more information about our services, check out our list of services below or call our office at (720) 276-1403 today! Air Conditioner Replacement and Installation For air conditioner replacement or installation service, call Green Tech Heating & Cooling today! Air Conditioning Maintenance Keep your AC in the best shape possible by calling our technicians for air conditioning maintenance. Air Duct Sealing, Repair & Installation If you need new sealing for your air ducts, want air ducts installed, or need your air ducts repaired, call us! Central Air Conditioning Repair When you need repair service for your air conditioner, don’t hesitate to call us for AC repairs! Commercial A/C Contractor We don’t only offer residential AC services, we also conduct services for commercial air conditioners. Emergency Air Conditioner Repair If you have an emergency situation with your air conditioner, we are able to offer emergency AC repairs. Refrigerant Recharge Service If you have lack of cooling coming from your air conditioner, contact us to provide you with refrigerant recharge service. We Can Install a Wide Range of Air Conditioners. Everyone requires really great cooling for their home or business, but not every person is going to have the same specific needs. Some people are going to want to save more money on their energy bills, while some may want a system that doesn’t take up too much space. 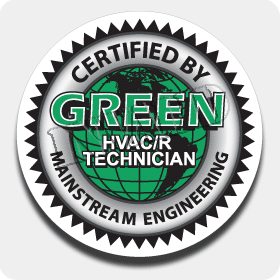 At Green Tech Heating & Cooling we are able to offer systems like energy efficient air conditioners, mini split ACs, and high velocity mini-duct systems. With energy efficient systems you won’t have to worry about wasting a ton of energy to cool your home, whereas mini split and mini-duct systems are great when you own an older property and want central air conditioning. To receive more details about this air conditioning service for your Brighton, CO property, get in touch with our technicians. Get Indoor Air Quality Services Through Green Tech Heating & Cooling! 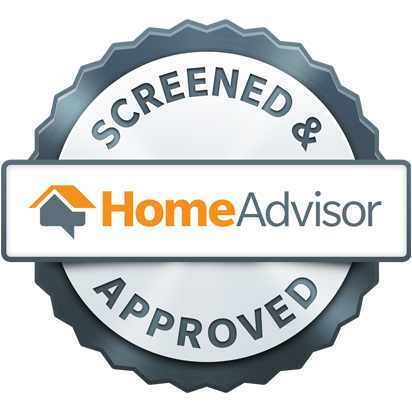 As homeowners and business owners, it’s important to have the best indoor air. While many people think that our indoor air is free from pollutants and other contaminants, this is simply not the case. Our air can be riddled with pollutants, allergens, and other germs that are brought in from the outdoors, or because of pet dander, chemical cleaners, and other things that can pollute our air. A great way to remedy this is by investing in indoor air quality systems. We are able to install systems like whole house air filtration, purification, and humidifiers. Each has their own specific benefits, but all of them can provide cleaner, safer air for you and your family. Get this type of air conditioning service for your Brighton, CO home by calling us today. When our homeowners and business owners need exceptional services for their air conditioner, they can trust that when they work with us, they will always get professional and effective air conditioner services. All of our HVAC technicians are licensed and fully-insured, guaranteeing that every job is done to industry standards and performed correctly the first time around. We work with reputable HVAC brands and use state-of-the-art tools to make sure that you have the very best air conditioner for your property. Make an appointment for air conditioning service in Brighton, CO by contacting our technicians at (720) 276-1403 anytime! We look forward to working with your and providing you with better cooling for your home or business.